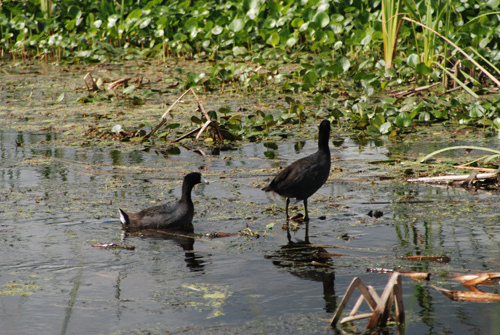 One of the most common birds you’ll see in Florida’s marshes, coots are among the noisiest. When they take off, they look like they’re running on water before they launch into the sky. You’ll generally see them either in pairs or in large flocks.